This is a list of character actors whose last name ending in the letter W has appeared on The Rifleman — One Time Only. Whether they have appeared one time only or 168 times, they are just as important as the main characters and/or anyone else involved in The Rifleman. This is just a small tribute to those great many characters actors. Dale Wright as Davey Croton in Incident at Line Shack Six. 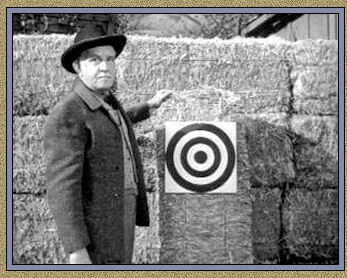 Howard Wright as the man pointing to the target in The Sharpshooter. He appeared with Chuck in Banded in The Assassins: Part 1 (1966) as a Senator. His career spanned twenty-five years with over one hundred credits. 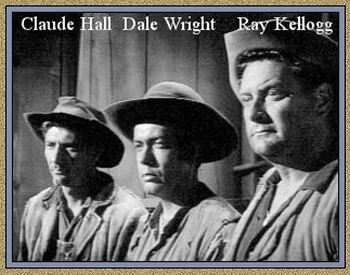 His first acting role was in 1953 in Adventures of Wild Bill Hickok (TV Series). His recurring appearances were in: Stories of the Century (1954 - 1955) ― Jane Wyman Presents The Fireside Theatre (1956) ― Hey, Jeannie! (1957) ― The Loretta Young Show (1956 - 1958) ― Highway Patrol (1956 - 1959) ― Tombstone Territory (1958 - 1959) ― The Real McCoys (1959) ― Gunsmoke (1961 - 1962)― Hennesey (1962) ― Tales of Wells Fargo (1957 - 1962) ― Death Valley Days (1954 - 1966) ― Bonanza (1961 - 1966). He was an actor, known for The Spider (1958) ― What Ever Happened to Aunt Alice? (1969) ― Louisiana Hussy (1959). 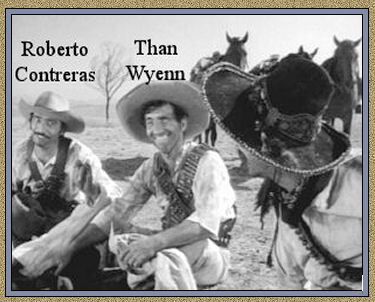 Than Wyenn as Ramos in The Vaqueros. He also appeared with Chuck in Arrest and Trial (1963). He served for 37 years as a consultant to the Los Angeles Bureau of Jewish Affairs, and was a founder of the city's Yiddish Kinder Theater. Born to Jewish parents, he found his interest in acting at an early age and was later mentored by Michael Chekhov and Lee Strasberg. He gained experience as a member of a touring Shakespearean group. He totaled more than one-hundred television credits during the course of his career. Best known for Zorro as Licenciado Piña (1957-1958). Than's credits include more than 120 television appearances and 30 feature films. Among his other film credits include Black Sunday (1977) ― Being There (1979) ― Splash (1984) and Imitation of Life (1959). A proud member of Equity and SAG-AFTRA, he became a voting member of the Academy of Motion Picture Arts and Sciences in 1966. Later in life, he and his wife Guy became world travelers, documenting Jewish life throughout the world. As part of their travels, he led tour groups to India, exploring Jewish communities both historic and present. He received Israel's State Medal of Honor for his photographs of Jewish subjects from the Museum of the Diaspora in Tel Aviv where his collection has been donated. 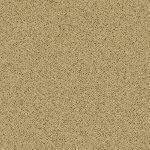 In his senior years, he also became an accomplished painter.